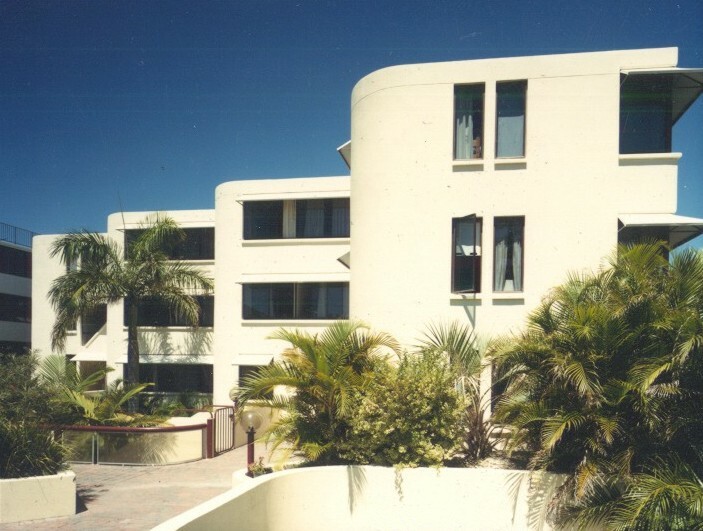 A complex of 18 apartments sited on a cliff overlooking the beach. The building contains five levels with access from the street being at a mid level with pedestrian bridges forming an access node at the mid-level. This mid-level is above the pool and landscaped courtyards thus obviating the need for elevators.